fit. Listed below are some yoga poses for weight loss in a natural way. in building more muscles, triggering fat burn. This yoga asana is very effective in toning your entire body. With extra focus on certain muscles, the Adho Mukha Svanasanav strengthens your thighs, back, and arms. Sarvangasana helps you achieve all round wellness and body fitness. It helps in digestion, controls thyroid, and increases the overall body strength. It even aids in strengthening your upper body and abs. Moreover, it also eliminates sleep problems and breathing issues. Parivrtta Utkatasana is a highly recommended yoga for weight loss. It eliminates the extra fats and gives you great looking abs. This yoga asana also helps to obtain an improved lymph system and digestive system. 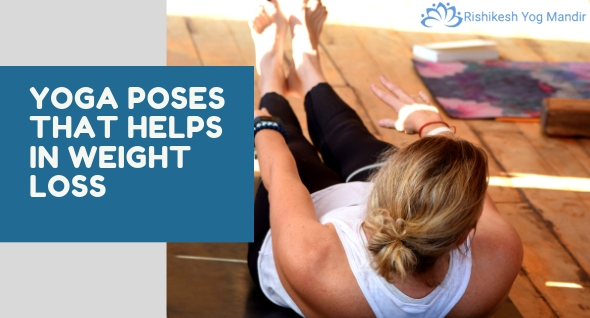 The bridge forming pose works well for thyroid and weight loss. It helps in toning the thigh muscles and keeping the belly happy by improving digestion. lifestyle for effective weight loss. Also read : How to lose weight with a yoga diet?